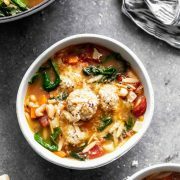 Minestrone with Chicken Meatballs is a hybrid of two comforting soups – minestrone and Italian wedding soup. 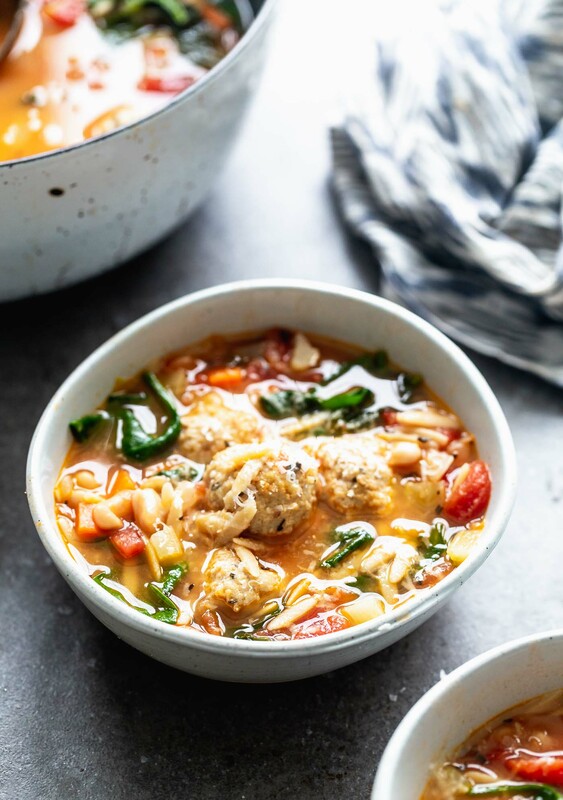 With a rich, parmesan-infused broth, tons of veggies, whole-wheat orzo, and the most tender, flavorful chicken meatballs, this is a healthy winter soup worth making over and over again. 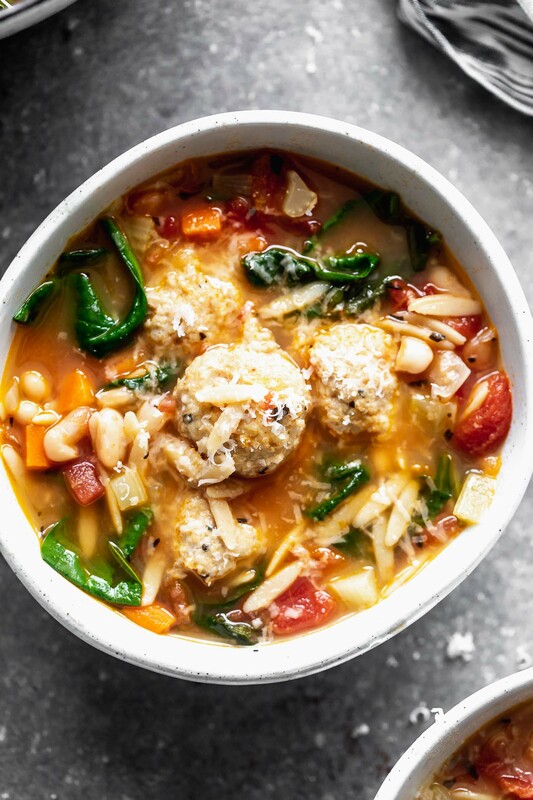 Minestrone with Chicken Meatballs on repeat, or whatever soup I’m digging at the moment. 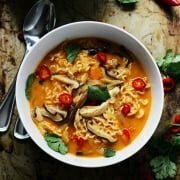 Soups are my jam year-round, but they really give me life in the winter. Our weekly meal rotation isn’t complete without some sort of hearty soup, because I genuinely rely them to warm us from the inside out. I blame the constant need for warmth on Kevin since he won’t allow me to turn the thermostat up higher than 70-degrees, which is essentially freezing because we live in a drafty old house built in the 40s. So soup it is. Every week, the soup is different, but I’m thinking today’s soup is worth repeating over and over again. 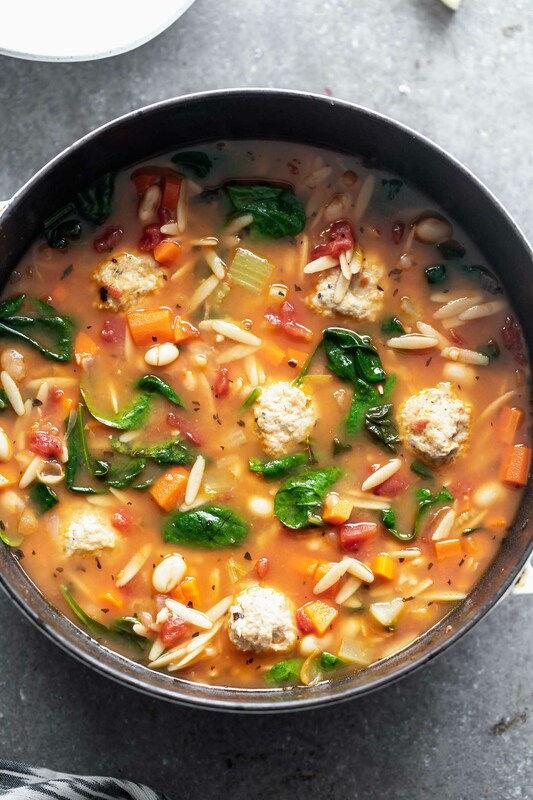 I do want it be known, that the simple title Minestrone with Chicken Meatballs doesn’t really do this soup justice. 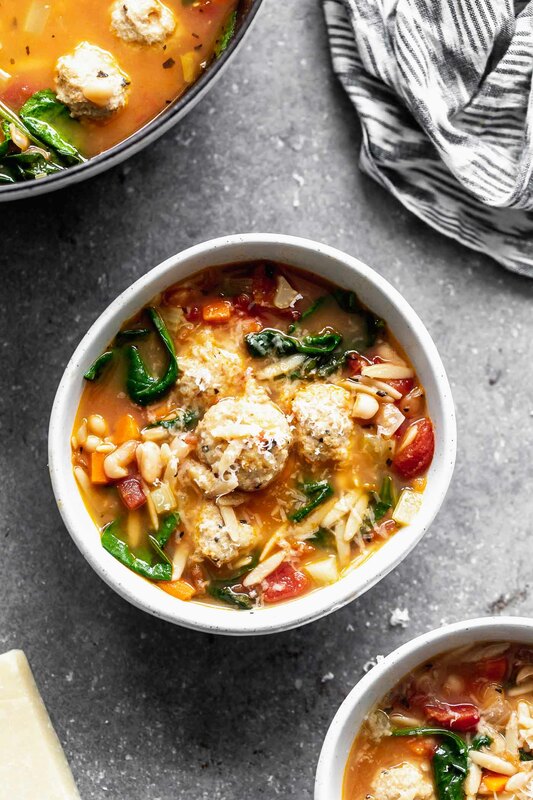 Because what it really is, is a hybrid between a veggie-based minestrone, a hearty Italian wedding soup, and one of those creamy tortellini soups the world can’t get enough of. We love it for many reasons, but mostly because it’s a sort of soup compromise between Kevin and I. It has meat in the form of tender chicken meatballs, for Kevin. Plenty of veggies (carrots, celery, tomatoes, and spinach) for myself. And a bit of pasta, in the form of whole-wheat orzo, for the babies. A win for everyone. The broth packs a TON of flavor from plenty of onion, garlic, and every soup’s secret weapon – a parmesan cheese rind. It’s a little secret I learned over a decade ago from either Giada or Bobby, and it’s something I now include in just about every soup or slow-cooked sauce I make. 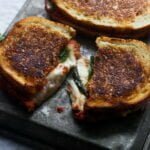 It’s such an easy way to add a ton of flavor, and it’s especially convenient if the recipe calls for parmesan anyways (this one does). Let’s talk meatballs. I already told I’m a self-proclaimed meatball expert in the post for these Turkey Meatball Burger Melts from the other day, and I stand by that even when it comes to chicken. Actually, especially when it comes to chicken. Chicken meatballs have a tendency to turn out super dry, but if you follow a few rules you’ll be golden. Grate the onion and garlic. 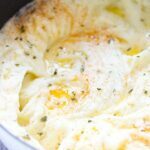 Grated onion and garlic not only adds tons of flavor, but it adds quite a bit of moisture. 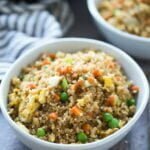 Use breadcrumbs and an egg. For binding and to create a tender meatball. Typically I almost always bake my chicken meatballs, just because when I do make chicken meatballs, I’m usually trying to watch the fat and calories. Frying them in oil seems to defeat the intent to have a lighter, healthier meal, and I find they taste just as delicious when baked. However, here, I wanted to keep things simple. Not dirty up too many dishes. So all you have to do is from the meatballs, then drop them into the simmering broth. Not only is it easier to do it this way, but it gently poaches the chicken, which makes these the most tender, soft meatballs on the planet. So good. 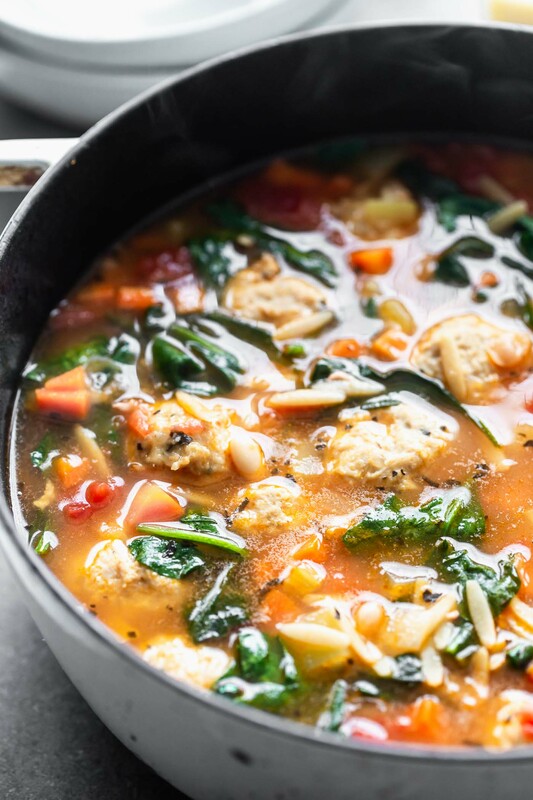 After all the veggies, orzo, and chicken cook together, I like to stir in a generous amount of baby spinach, stir it just until it wilts, then serve right away. 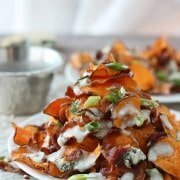 It’s wonderful as is, but you can also garnish with some chopped parsley and freshly grated parmesan cheese. Heat a large pot to a medium heat. Add olive oil. Once the oil is hot, add the 1/2 cup diced onion, carrot, celery, and 1/2 teaspoon salt. Sweat until until onion is translucent and veggies are starting to soften, 2-3 minutes. Add 2 grated cloves of garlic, cook another 30 seconds. Add in chicken stock, tomatoes, parmesan cheese rind, remaining salt, and orzo. Use a fork to gently smash about 1/2 the beans, and then add it to the soup. This will help thicken the soup. Bring to a boil and reduce to a simmer. While the soup simmers, make the meatballs. Add the ground chicken, breadcrumbs, egg, parmesan cheese, basil, remaining garlic, remaining grated onion and a pinch of pepper to a medium bowl. Mix just until it's combined. Use a small ice cream or cookie dough scoop to form chicken into about 1-inch meatballs. Gently drop the meatballs in the simmering soup. Continue to simmer until the meatballs are cooked through and the orzo is also cooked, about 10 minutes. Add spinach, stir until wilted. Season to taste with salt and pepper. 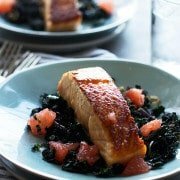 Serve with grated parmesan cheese. 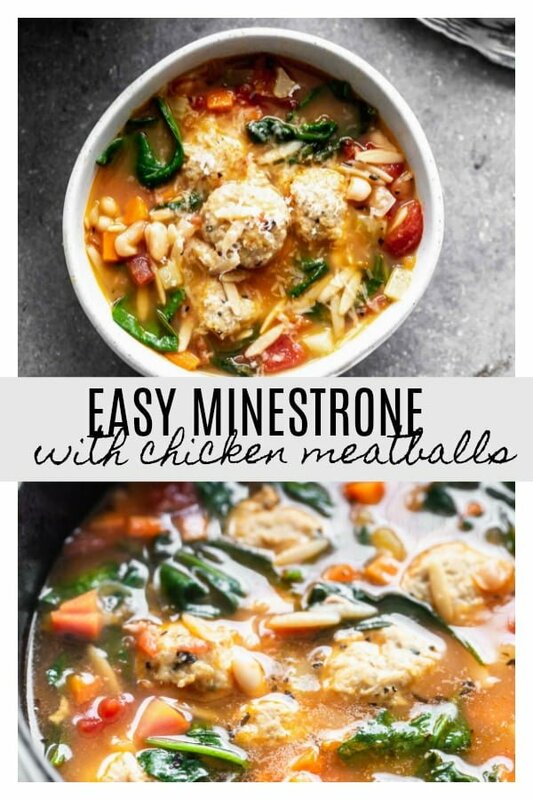 2 Responses to "Minestrone with Chicken Meatballs"
We loved this recipe and loved it as leftovers too. So yummy!